Ready, set, vroom! 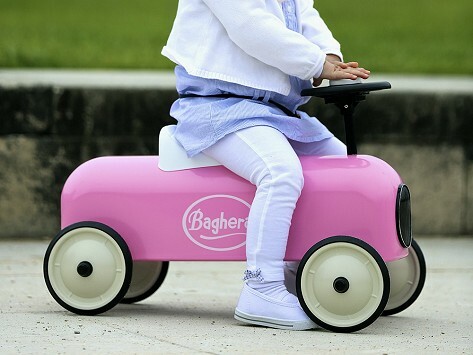 The Racers ride-on car for toddlers gets its go from little drivers who power and maneuver it. It’s fun for kids and also beautiful for grown-ups to look at. The sleek and sophisticated-looking ride-on is designed in France and is inspired by a vintage 1950’s model. It has a durable metal body, rubber wheels, and functional steering wheel. But it’s the retro-inspired details and finish that make this mini classic car really shine.